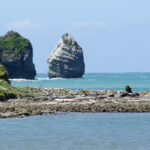 A six-day tour through the Bay of Plenty in a motorhome is the perfect way to experience the spectacular beauty and storied history of the region. From Maori culture to modern fine dining, everything you could desire is here for your enjoyment. In order to make the most of your trip, we’ve created a six-day itinerary that showcases the most incredible aspects of the area, following the coast. This itinerary is based on a trip taken by our very own CEO Dave Simmons, so we know you’ll have enough time to cover everything. Dave and his mates started in Auckland, but it’s easy enough to start the trip in Opotiki or Gisborne if you’re coming from elsewhere! The trip begins in the evening – Dave started at 4pm Tuesday after picking the kids up from school. After a stop at the Waikino Pub for dinner and refreshments, it’s a 40-minute drive to Opotiki, where you will take a tour through the Ohiwa Domain. On the 20-minute, torch-guided walk you will be able to enjoy the native foliage and bush as you follow the posted guide signs to find glow-worms. They shelter on the right side of the path, and the experience culminates in a giant tree that overhangs a cliff, home to thousands of glow-worms looking like stars in the night sky. Opotiki originates from the name given to a spring that dates back to a legend from the immigration from Hawaiki regarding a Chief and his brother’s two Tamahanaha fish pets known as O-Potiki-mai Tawhiti or “two pets from afar”. The town slogan is Opotiki-coast by nature. Famous local-James Rolleston of Boy lives here. Biggest industry-Kiwifruit and various farming and forestry industry. The scientific name for glow-worms is Arachnocampa luminosa. They are not worms, but the larval stage of a fly. Their unique blue-green luminescence is created by a chemical reaction between luciferin, the enzyme luciferase, ATP and oxygen. Enjoy your morning coffee at the eclectic Two Fish Café, where you can watch the local action as you sit in the pretty mismatched chairs and tables. 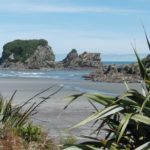 A two and a half hour drive from Opotiki will take you to Te Araroa, where you can check in at Te Araroa Holiday Park. Take the tour by Motu River Jet to see the incredible, natural beauty of the Motu River as it travels through the last area of relatively untouched native bush. This tour is appropriate for children and is a fantastic opportunity to view the native lands. Bookings optional. Whanarua Bay access road contains the only set of traffic lights between here and Gisborne due to its steep elevation, but takes you to Macadamia Farm where you can have lunch at the Nuthouse Café. 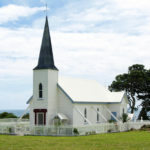 100km from Opotiki will take you directly to one of the most photographed places on the East Cape, a simple but strikingly beautiful white church in Raukokore that has sat on its rocky outcrop of over a century. If the weather remains favorable, the afternoon should be spent swimming, snorkeling, spearfishing or hunting crays along Lottin bay. We recommend bringing a small picnic to enjoy! For such a tiny township, the community is large and boasts many local businesses including The Kai Kart Café & Takeaways, the Eastern Store Four Square, which stocks Petrol and Diesel. There are public restroom facilities as well as a skate park and a playground on the waterfront. The School stands in front of a Pohutukawa tree (Te Waha o Rerekohu), which has the local reputation of being the oldest and largest in New Zealand. The historic Whetumatarau Pa site is prominently displayed over the township. 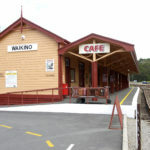 This town marks the most eastern point in New Zealand and, along with Mt. Hikurangi, is the first to be touched by new day’s sun. The historic lighthouse, 154 meters above sea level. Be aware that the climb to the top is 700 steps, but if that seems too many, you can still take beautiful photographs and explore the grounds. Whangaokena island is visible from the East Cape Lighthouse, and the area is frequented by divers and seafood gathers during low tide. Rangitukia Beach Tikitiki is renowned for the unusual driftwood that washes ashore – have fun finding a piece of your own. Take in a lunch at the picturesque Te Puke Hotel in Tokomaru Bay. Spend the night at the campgrounds at Anaura Bay and marvel at the clear sky and bright stars. Hunt out a good Surf Break. Practice your fishing skills by dragging the nets or surf casting. If you would rather be in the water, body surfing is an option. Enjoy the unparalleled beauty by taking a walk through the unfettered natural landscape and sandy white beaches. Anaura Bay is regarded as one of the loveliest beaches on the East Coach, with soft white sands and natural bush. The meeting house is a rare example of a painted marae. 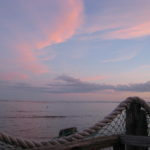 Enjoy watching the sunrise on the beach, then Net drag at dawn. 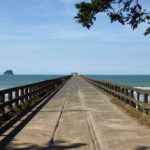 Take a short trip to Tolaga Bay to enjoy a cup of coffee at the Curbside Café and walk the 660m long wharf. It’s a relatively short 5.8km walk down to Opoutama (Cooks’ Cove). 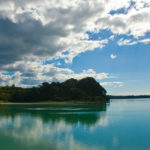 Drive just 10 minutes and you’ll find yourself in Tatapouri, home of Te Tapuwae o Rongokako Marine Reserve where you can snorkel and dive with natural marine life..
Named Tolaga Bay by Lt. James Cook, 1769. For many years, the only town access was by boat. The wharf is the second longest in New Zealand and was built in the 1920’s to accommodate vessels as the bay was too shallow to allow them shore access. The local Flea market, from 6-9am. The Farmer’s Market, open from 9:30 am. Grab life jackets and a boogie board and drive 44 minutes out to Rere Rockslide, Gisborne’s natural rock slide. 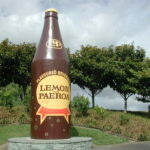 Visit Sunshine Brewery, just 100m from Waikanae beach at 49 Awapuni Road for a cold beverage, or tour a local winery. 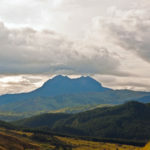 The Gisborne name was derived from William Gisborne, an early colonial secretary to the settlement of New Zealand. Gisborne is the first city in New Zealand to greet the sunrise. 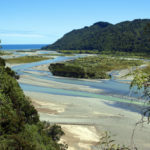 Turanganui, the shortest river in New Zealand, is found is Gisborne and flows through downtown. About 45 percent of the town’s population is Maori. The locals call the town ‘Gizzy’. In the Maori language, the town is named Tairawhiti, meaning ‘The coast upon which the sun shines across the water’. 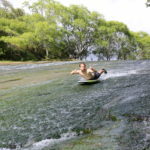 Famous for its surfing, Makorori Point is the most well-known surf spot. 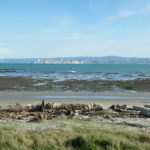 Gisborne is the site of Captain Cook’s first landing, at Young Nick’s Head. Organic coffee and home-baked treats at Living Water Bush Café on the banks of Opato Stream. Nuts and local honey are also available. 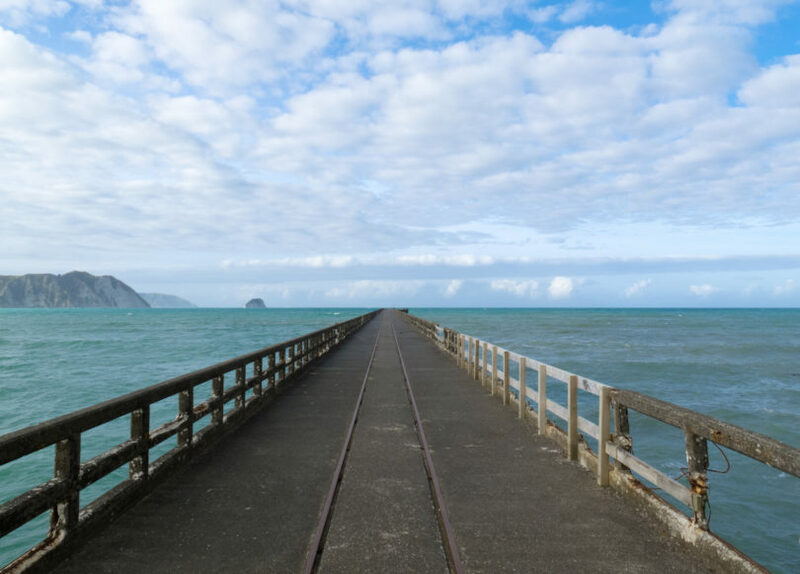 The Tauranga Bridge Track is a must-do for adventure. It’s one of only two harp-strung suspension bridges in the Southern Hemisphere and is just a five-minute walk from the carpark. The bridge spans 60 meters. 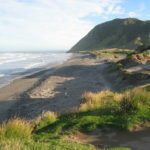 Get your last nature fix at the Pipi Beds (Te Ahiawa) on SH2 along the mouth of the Waiotahi River. Collect shellfish, enjoy the play area and shallow swimming. The shady trees make it a perfect place to stop for a picnic lunch. This is at least a 6 hour drive, so we recommend taking stops to keep you fresh, and not trying to rush! 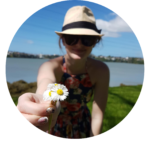 If you have the time, consider splitting the trip over two days and stopping off in Rotorua or Tauranga for a night. 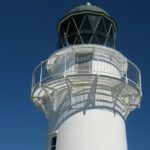 This trip can easily be stretched out another day for a full week of enjoying the sunshine on the East Cape, or condensed into a long weekend of exploring, and is perfect for families and groups of adult friends alike. Ready to go? Pickup a motorhome rented directly from a local owner with Mighway, and let the journey unfold!